The modern home has many conveniences that most of us don’t think twice about while enjoying them. 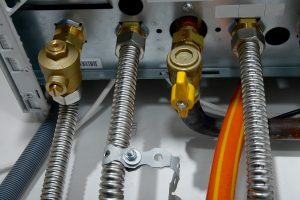 We turn on the tap and water comes out, or we adjust the thermostat and the furnace or air conditioner starts running. It’s only when these things don’t work the way they should that we take notice of them. At G&R Heating and Air, we can provide HVAC repair when you need it most. If you live in Huntley, then give us a call today! It’s often frustrating when your furnace or AC isn’t working properly, and your first thought may be to troubleshoot the problem yourself. However, if something major has gone wrong, it may be out of your skill set or expertise to fix. If that’s the case, it’s best to call in a certified HVAC expert to take a look at the system. At G&R, we know how to work on all types of systems, and we’ll work quickly and diligently to repair your heating or cooling. When something major breaks down within your HVAC system, you know how important it is to get it fixed as soon as possible. When it comes to minor repairs, however, you may feel like you can put those off until a later date. The problem with this is that minor problems can quickly become major issues if they’re left unattended for too long. If you’ve been ignoring a strange noise from your air conditioning unit, or the furnace doesn’t seem to turn on right away, then don’t let it sit – contact our expert team today. We’re proud to serve Huntley and the surrounding area, and if you’re in need of HVAC repair, or you’re thinking about installing a new furnace or air conditioner, then please give us a call at (224) 419-5324 today. If you have an HVAC emergency that needs immediate attention, then you can contact us 24 hours a day, seven days a week.